The biggest cryptocurrency exchange in the US just got even bigger! 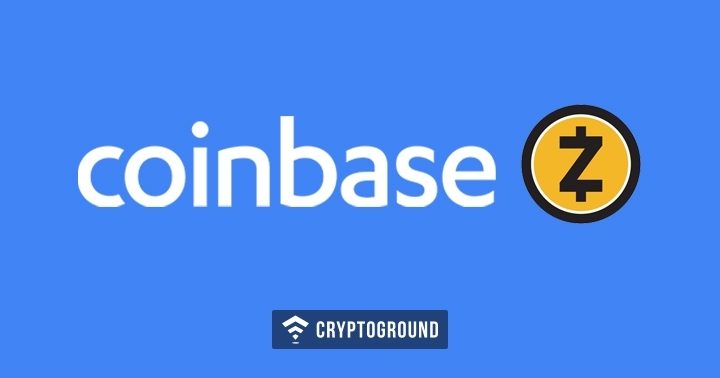 Coinbase, which has been adding a number of new assets to their offerings over the past few months, has now introduced support for ZCash (ZEC) on the Coinbase cryptocurrency exchange and wallet. This comes just one week after ZCash’s listing on Coinbase Pro. Following the currency’s listing on Coinbase, users of the platform can now send, transfer and store ZCash cryptocurrencies. Users of both, the Android as well as iOS apps can now make use of the Coinbase platform to transfer ZCash. Privacy-focused ZCash is currently the 19th largest cryptocurrency in the markets, with a market capitalization of $370 Million. As of this writing, Coinbase supports ZCash on every supported location except the state of New York and the United Kingdom. Coinbase has stated that other jurisdictions might be added later on. Usually, when a currency is added on Coinbase (or one of its platforms), there is a major growth in its price. However, the ZCash listing on Coinbase Pro defied the so-called ‘Coinbase Effect’, as the price fell by 17% on that day. Interestingly, similar to the Coinbase Pro listing of ZEC, the Coinbase listing too, has failed to bring back this currency into the green. Coinbase, as of this writing, is down by 4.90%, as the price of the currency is down to $68.35. This listing is a step forward for Coinbase, which has been expanding its offerings for quite some time now. However, this move has been met by varying opinions. Many consider ZCash’s listing on Coinbase a move to make this privacy-focused currency mainstream: a move that may dent ZECs focus on privacy. This belief comes from the fact that Coinbase being a US-based firm has a number of federal laws which might come into the way of the anonymous transactions that ZCash otherwise offers.